Safe and Fun Kayaking for Everyone! To become part of the club you need to do a skills course, so check out our skills courses that are coming up. There is something for everybody! By doing the Skills Course you will receive 2 full days of great instruction from highly qualified instructors in a safe environment. All equipment needed for the course is provided by us and we will even transport you to the locations we head to throughout the course. We provide you with lunch for the 2 days of instruction. Our Skills Course groups are kept small so there will be no getting lost in the crowd and you will have the knowledge that you are not getting a generic talk, but instruction that will help you out individually. On completion of the Skills Course you are awarded a certificate and automatically become a member of our Yakity Yak Club. The Yakity Yak Club has heaps of amazing benefits for members! - 12 month subscription to the 'New Zealand Kayaking Magazine'. - Weekly emails to keep you up to date with what is happening in the world of kayaking and exciting things we have to offer you. - Monthly club meetings to plan out trips and any ideas you have. 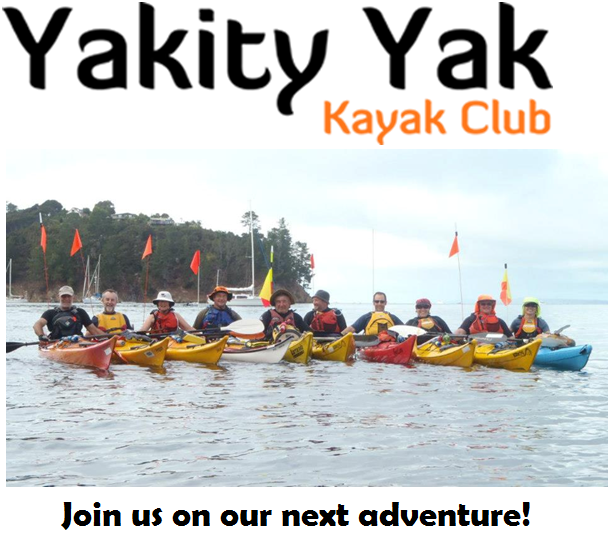 - Get to know fellow kayakers through the club. - Great in store discounts. - Access to club trips throughout the other Canoe & Kayak stores. - Half price kayak and accessory hire. - Discounts of further courses. - Free training to become a trip leader. - Free consultation and advice. - Access to social events held through Canoe & Kayak Waikato. Book on to our next skills course by calling us on (07) 850 1002, emailing us at hamilton@yakityyak.co.nz or better yet, come in and visit us, we would love to meet you!